A recent study by the Missouri University of Science and Technology revealed that the internet habits of depressed people are identifable. 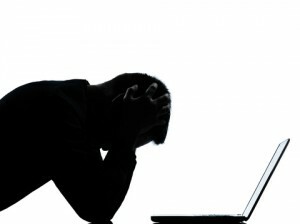 In a survey of the student population, Internet use was monitored and correlated with the results of a depression survey. Tendency to switch between application quickly, for example switching between online chat and online games, indicating concentration difficulties. “The study is believed to be the first that uses actual internet data, collected unobtrusively and anonymously, to associate internet usage with signs of depression,” said assistant professor of computer science Dr Sriram Chellappan on MSNBC. For so long it was crudely deduced that depressed people spent longer on the net hiding from the world in games and on Facebook, which could give a greater sense of self. But habits, behaviours and patterns reveal subtle hints that could really form strong links between Internet use and mental health. However, even the researchers acknowledged the lack of precision in the study, particularly with the small sample size. This will be a massive future area of research, as so much of our public and private lives are being thoroughly documented online. Therefore our online behaviours and patterns of use can be a telling clue when it comes to mental health. Our recent news article looked how researchers in New Zealand were using video games to help young people with depression. Similarly the Missouri researchers want to bring treatment right to the forefront of technology, in this case a software that could prompt users to seek medical help. We look forward to hearing about further tests and a greater emphasis on research and treatment options for mental health on the internet.